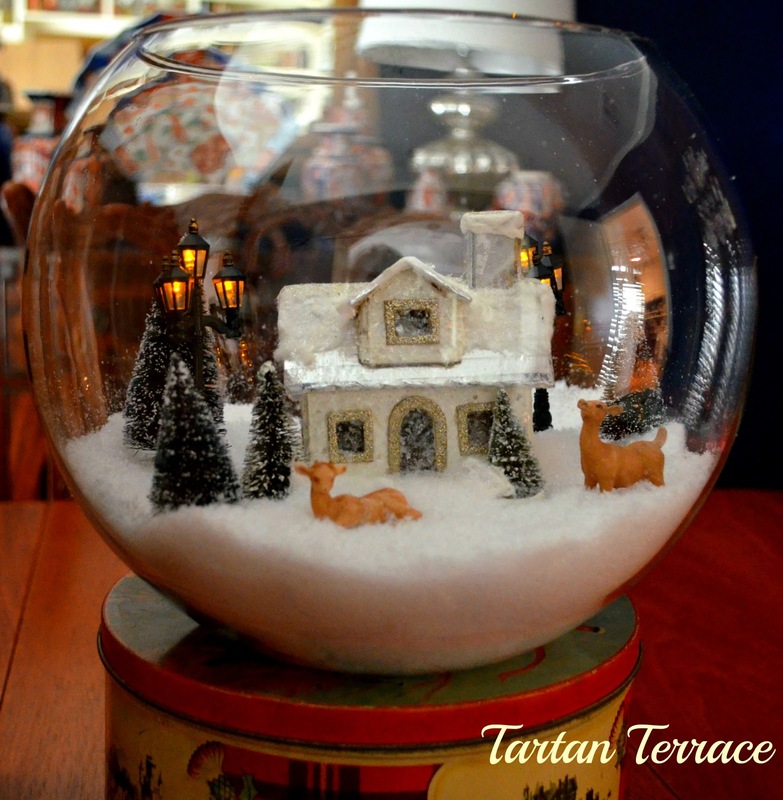 TartanTerrace: Decorating for Christmas: Lots of Tartan in the House! Decorating for Christmas: Lots of Tartan in the House! 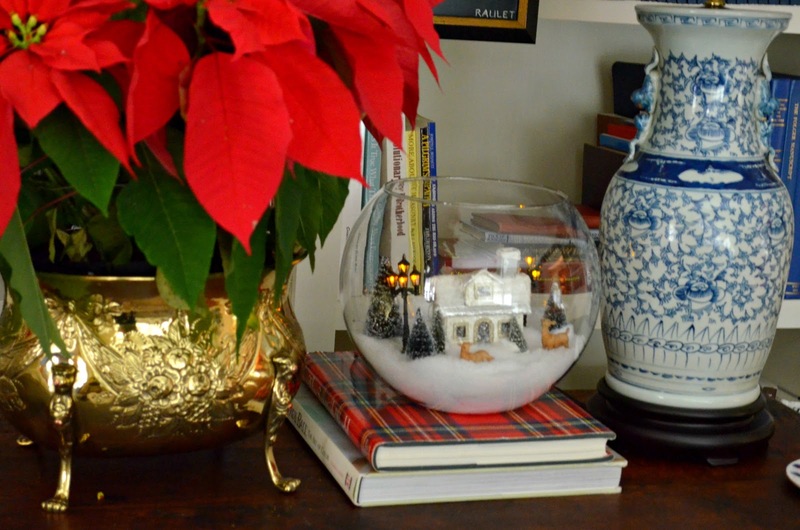 When I learned recently that Alison at The Polohouse was featuring Christmas decorating with plaids and tartans at her "Favorites on the First" linky party, I knew that I just had to join in. While these images are from Christmases past, we all know that tartans and plaids are timeless. While not specifically tartan, here are the Christmas stockings that I spent YEARS making! I'm so happy that I'm going to be starting a new one soon for our first precious little GRANDBABY! Thanks to Sarah at HYACINTHS FOR THE SOUL for giving me a heads up about these shows on the Saks website. Love 'em! I was SO hoping you would not miss this party, Kathy. You always have THE best plaid and tartan things! Your new shoes are darling. plaque in your sideboard. Oh dear.... oh DEER~! Thanks soooo much for linking up! ribbon OR it is fabric???? Hey, Alison! I enjoyed linking up to your December Linky Party. It's always so much fun. I got the tartan ribbon around my front door years ago in Austin, Texas. It's actually silk, I believe, or a good fake polyester. It's wired, which makes it easier to work with. PS ~ Congratulations on the grand baby news! Sarah - I just visited your tartan post, and it's exquisite! I'm going to post some more comments on your blog. Btw, I bought the binoculars at an antique mall. They were probably made in the 1950s so they're not technically tartan ware. 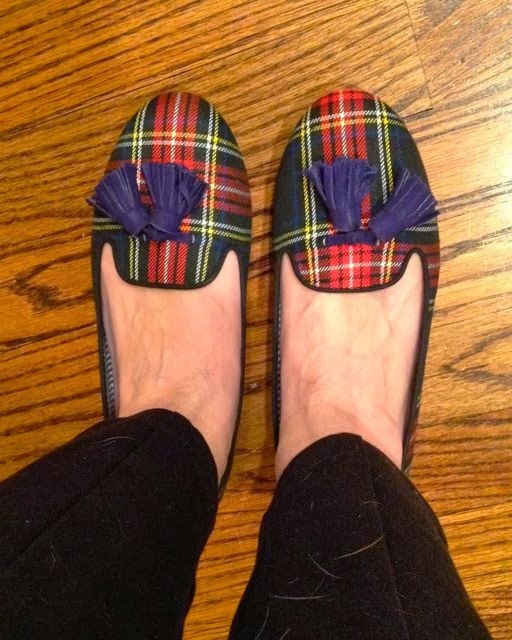 Thanks for your comments, and I'm loving my tartan shoes. WOW! I hadn't seen or heard from you in a while. I LOVE plaid and need MORE of it too! 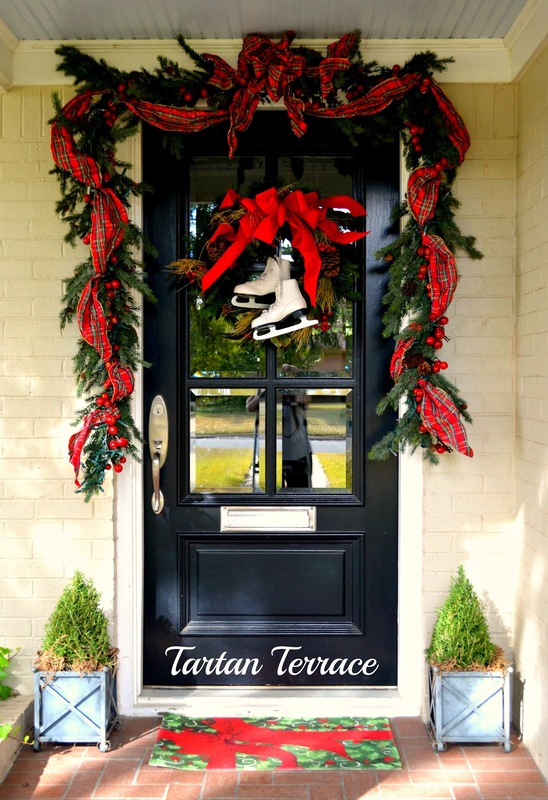 I love the skates on the front door wreath. Perfect! Happy Holidays! Ron - Thanks for your comments. I've been on a self-imposed hiatus from blogging, but I'm ready to get back. Your house is looking very festive at the Uptown Acorn. I especially love how you've incorporated all of the oyster shells into your decor. Very nice! Hope you have a great Christmas and wonderful break from all of your little monsters! I am a plaid lover and what a beautiful post. So pretty and thank you for sharing. Marlene - Thanks for visiting. Happy holidays! Pamela - Thanks for stopping by. I've enjoyed decorating with all my tartan which I love to mix in with other vintage Christmas things. I noticed on your last post that you have lots of vintage ornaments that obviously have great sentimental value. In my opinion, those are the best. Try to keep warm way up in Canada! Happy Christmas! Okay, first, I'm quite JEALOUS. I want a grandbaby!! But nobody's married, and I'm old fashioned, so I'll wait. And I really am happy for you!! A baby, how fun! 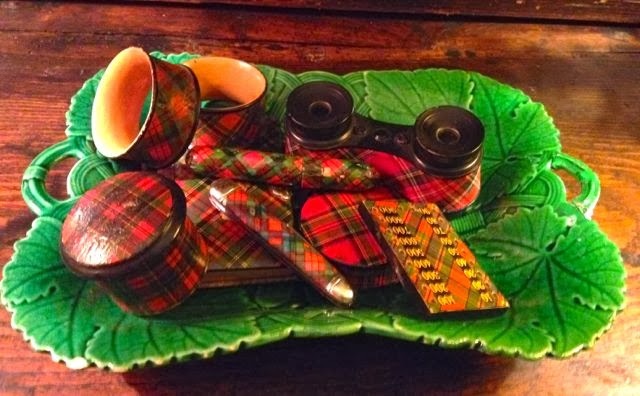 I love Alison's tartan posts, and did not realize you had posted; so I went back in your blog to last year and had looked at your tartan xmas just this last week! Was glad to see you at Alison's when I went there today. I love your Bambi plaque so much that, since I couldn't find a deer head (or at least one that I'm willing to pay for), I've been making a papier mache one today. Remember, imitation is the sincerest form of flattery! I'll send you a picture when I get done. I am in love with--and coveting---your plaids. I'm so glad I found you. I'm your newest follower.